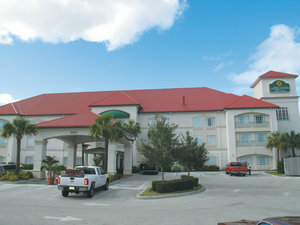 Great place to stay and leave your car when flying out of Ft Myers airport for a few days. Free shuttle to and from the airport. Would stay again. Worked well staying the night before an early flight to Denver. I expected ordinary. Then I saw all the spring break kids on my floor and thought..oh boy... My room was FANTASTIC. Large, clean, and sound proof. The staff was Wonderful. Cecilia was cheerful and very helpful and patience with my questions. The staff allowed its guest to have fun but kept them respectful of the other guests. I will be using this hotel before all my flights out of RSW in the future !